A shortage of funds could mean that malaria is set to make a resurgence after a successful effort to combat the disease, the World Health Organization (WHO) is warning. The WHO's new World Malaria Report shows that 1.1 million lives were saved in the past decade but there is now a serious risk of those gains being reversed due to a lack of resources. Funding to deal with the problem increased between 2004 and 2009, the WHO said, but it was then put on hold between 2010 and 2012. It said that the stalling in funding means millions of people in high-risk areas are still without access to "effective malaria prevention, diagnostic testing and treatment". The supply of life-saving tools such as insecticidal nets has slowed, according to the WHO. 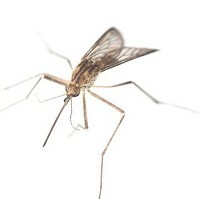 Lead report author Richard Cibulskis said malaria will "bounce back" if investment is not continued. "As soon as you take bed nets away, malaria will come back. If you stop indoor residual spraying, it will come back, and with a vengeance," he warned. The report may make interesting reading for holidaymakers heading to regions affected by the disease, or indeed for people who have contracted malaria in the past. Holidaymakers with ongoing conditions should note that they are able to take out special pre-existing medical travel insurance to ensure they are covered while on their travels.